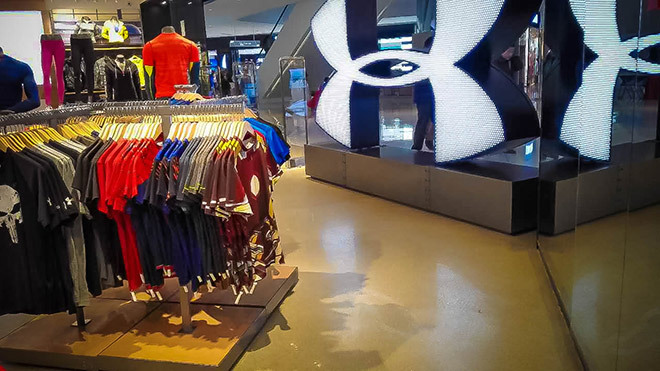 What do SpecChem and Under Armour have in common? Not a lot, actually, other than the fact that we are both global brands with a strong presence in China. Oh, and we both see the value in concrete flooring solutions that last longer, cost less to maintain, and are guaranteed to resist dusting for up to twenty years after application. Which is where our chemical hardener-densifier, SpecHard, a water-based siliconate sealer/densifier, comes into play. 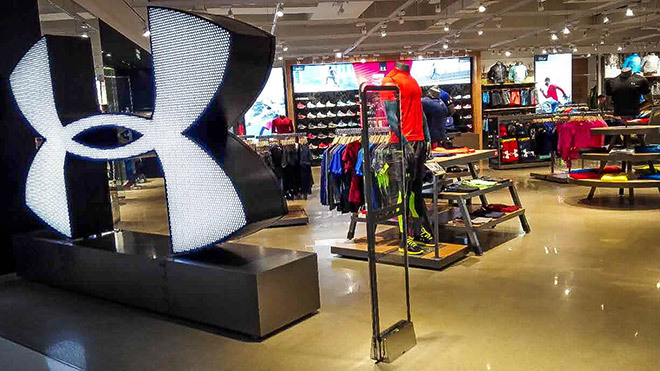 Any concrete floor subjected to heavy pedestrian or vehicle traffic – like the twenty Under Armour retail stores throughout China – and requiring an environmentally safe, V.O.C.compliant, easy-to-apply product solution, can benefit from SpecChem’s SpecHard. SpecHard will develop a low gloss satin finish that can also be buffed to bring out the shine immediately – as you can see below – on a well finished, hard troweled floor. 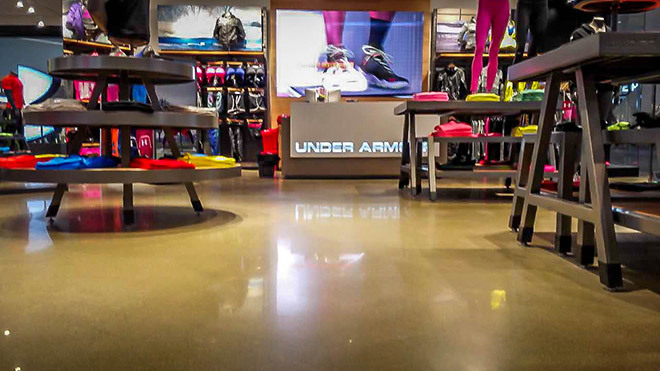 We’d love to discuss with you how our SpecChem concrete construction chemicals, epoxies, or repair mortar products can improve and add value to your concrete flooring and building projects. Please send us a note through our contact form, or simply call us directly. We look forward to answering your questions and providing a solution to your concrete construction needs.